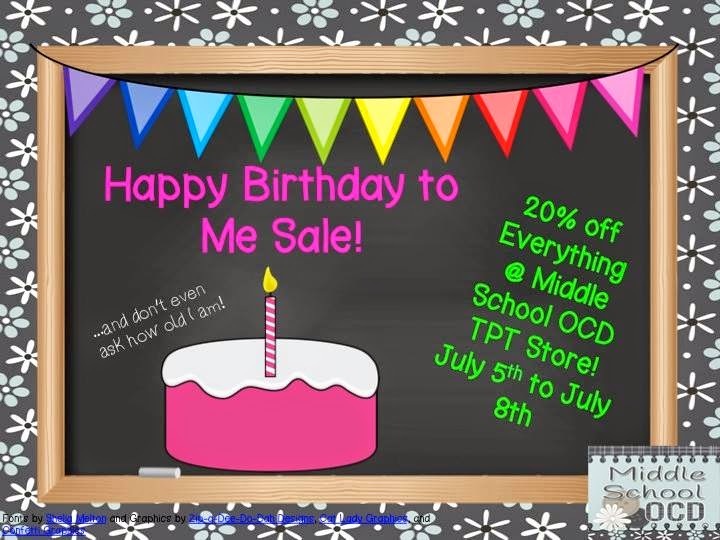 Don't keel over from the shock of me posting two times in two days... but I wanted to help Susan at Middle School OCD promote her TPT Sale! When I started teaching back in the day (heehee) and Susan helped me SO much with everything, so trust me when I tell you that everything in her store is wonderful. Plus, she doesn't post just anything, she makes sure that it's the best of the best. Also, since I have you around... I did make a new item for TPT. 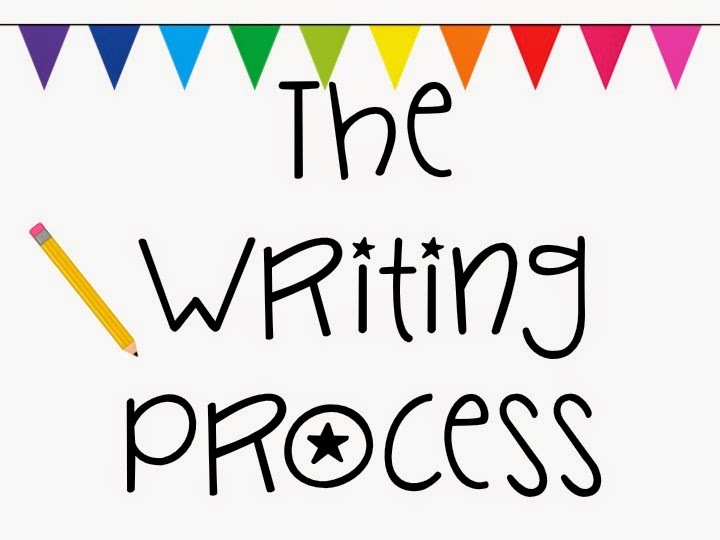 It's the 5 Stages of Writing Poster to help you keep track of your classroom writing situation. Go and check it out here! 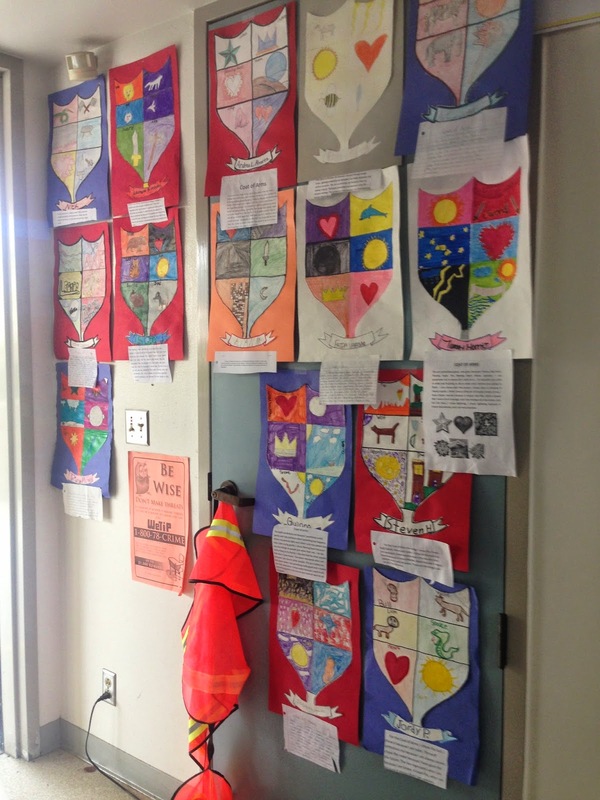 This past year, I brought back a fun project for my students to work on - the Medieval Shield! 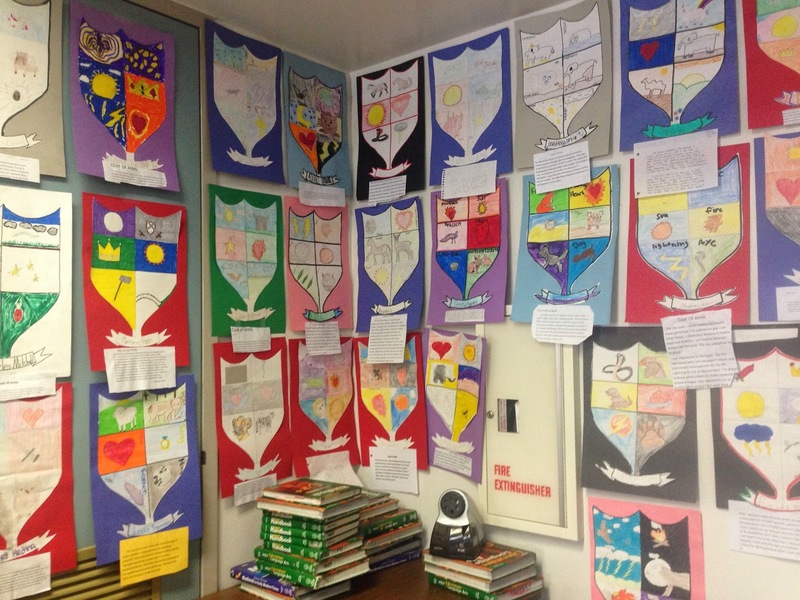 My students get to design their own Medieval Shield, complete with symbols that symbolize who THEY are. 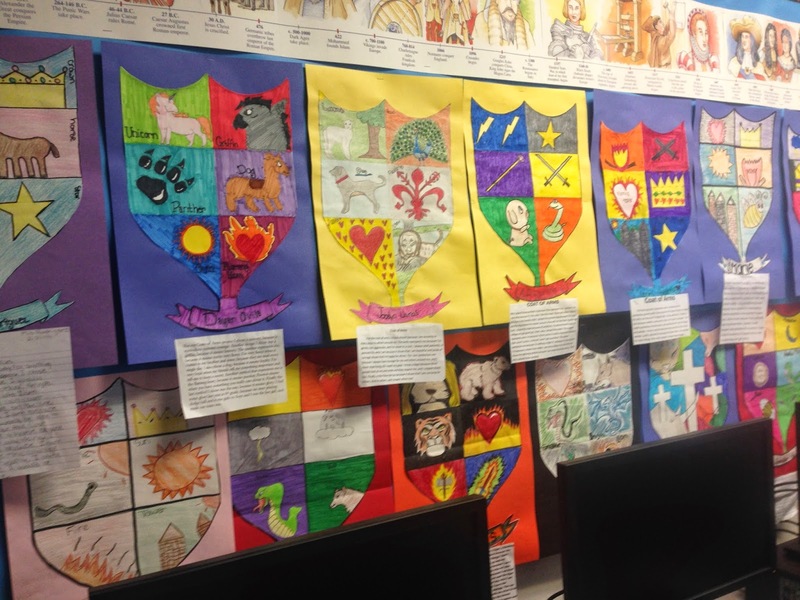 I tie it into the Medieval unit, which is about two chapters in our social studies books.... It works nicely with the Feudal System and Knights. 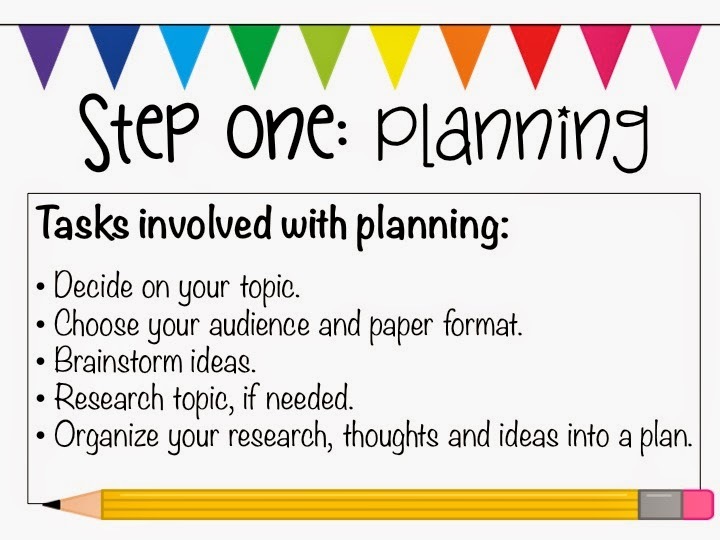 I'll tell you one thing, students love to talk about their favorite topic - THEMSELVES. The shield has six openings, so I have my students pick six symbols. They have a rough draft shield to sketch their symbols on first and plan out their shield before I give them the construction paper cut out. Additionally, because I feel guilty if my students are not constantly writing about something... they have to complete at least a paragraph that explains why they chose each symbol. The paragraph requirement depends on the class/level/attitude of the students that I'm teaching. If they can handle more, the requirement goes up. If we can actually get to the computer lab, then their paragraphs have to be typed. Additionally, even the background color should symbolize an emotion or feeling that the students can tie to themselves. Here are a few links that you can use. 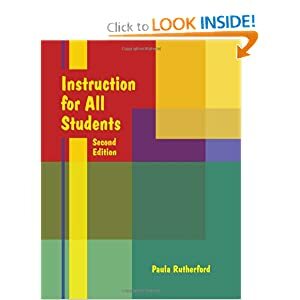 I was planning on re-doing my instruction guide this year, however... I'm moving back to 6th grade. So, I'm not going to bother (haha!) since it's all Ancient History, not Medieval! 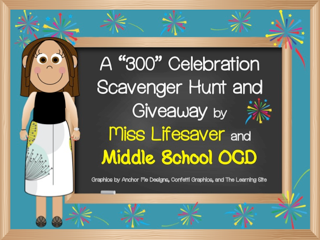 I am so happy to join up with Susan at Middle School OCD and Erin at Miss Lifesaver to join their 300 Follower Giveaway! First, you must go and follow Miss Lifesaver and Middle School OCD! Go. Now. I can wait. Are you back? Oh good, then we can continue. They are hosting a fantastic giveaway that features a scavenger hunt, where EVERYONE wins and a grand prize package full of wonderful items. I've included my Literature Circle Guide as part of the grand prize. It helps you prepare for using Literature Circles in a middle school setting based on my triumphs and failures! I've also included some of my smaller items in their Everyone Wins! Giveaway. There are so many awesome items, that I'm headed off to go and participate. My favorite teacher was Mr. Bacer, my 6th grade teacher. I loved this teacher, he was able to make all our subjects so interesting and it always seemed like he really cared about all his students. He also was a computer guy and had an account to Prodigy (OMG I'm so old) that we could log onto to the internet during our 1/2 computer time. The man was obviously a visionary in 1990. I remember that his class really made learning fun. 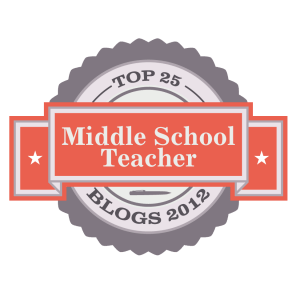 Two years ago - I started this blog because I had been transferred to a new school and I missed all my work friends. 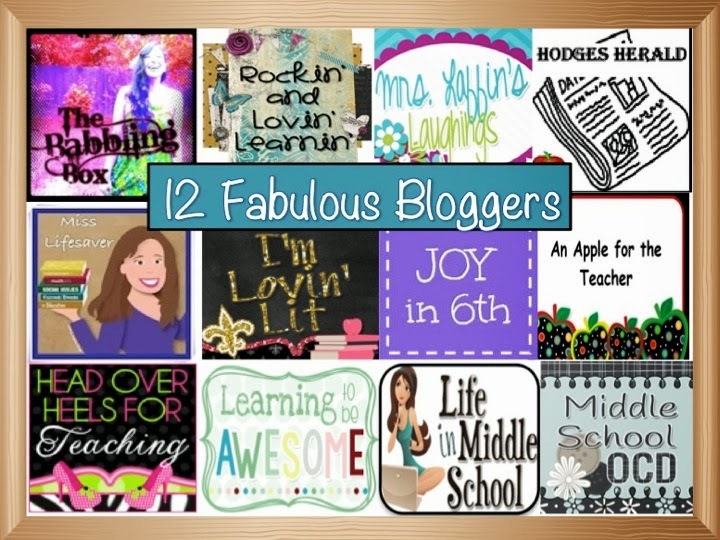 I never thought that I would still be blogging two years later and would have made so many new blogging friends and followers! I wanted to celebrate two years of stories, linky parties, pinterest boards, lessons, TPT products with all my friends and followers. I have some great blogging friends and bloggers that I simply aspire to be like lined up to celebrate with me! 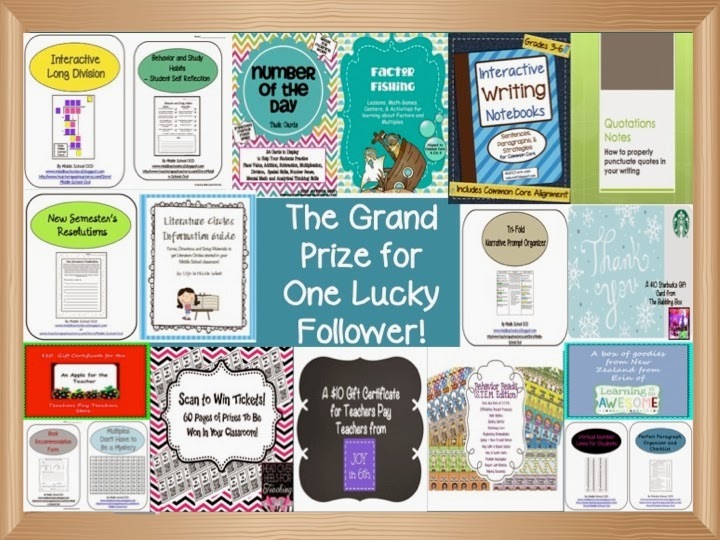 To celebrate, I am giving away some fabulous prizes! There will be an individual winner for each prize. That's a total of 11 awesome prizes for 11 awesome winners! 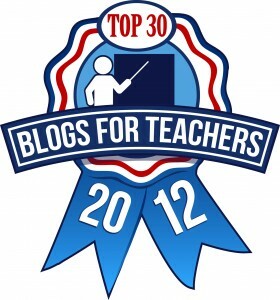 To earn entires you can follow each blog and their TPT stores. You can earn additional entries by tweeting about the contest and writing a blog post on your own blog! Earn your entries by claiming them in the Rafflecopter below! Here are the wonderful bloggers that are joining up with me for the party! 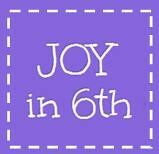 Each blogger has graciously donated an item to celebrate! Quick Plot Review Chart Freebie! A quick post - but I wanted to share something that I made tonight! Lucky you - it's available for FREE at my TPT Store! If you do download it, please leave me a comment letting me know! My BIG BIG BIG 2 Year Blog Anniversary party starts tomorrow (or tonight at midnight!). Come back and check out the super awesome prizes you could win!! The posts I write in my head are pretty awesome people. If only I had my clone available to write them. This week marks the 2 year anniversary of my blog! I've been working to gather together some fantastic bloggers to join my celebration and I'm so very happy with the people that are participating! When I decided to have my little internet party, I wanted the bloggers that I enjoy reading their blogs and buying their products to join up. Come back on Wednesday, September 18th to see what you have to do to win all the fantastic prizes available! My students totally bombed their common assessment this week. It's pretty embarrassing, but I know that it's time to put a full stop to any new material and to go back to what they need to have mastered. I love this book. It has a lot of good ideas. One idea listed is called "Chris' Test" - you put the students into groups of 2 and then they have to correct a fictional student called "Chris" and his/her test. They don't know which answers are marked correct or incorrect - they have to go through and determine how to make their test better. 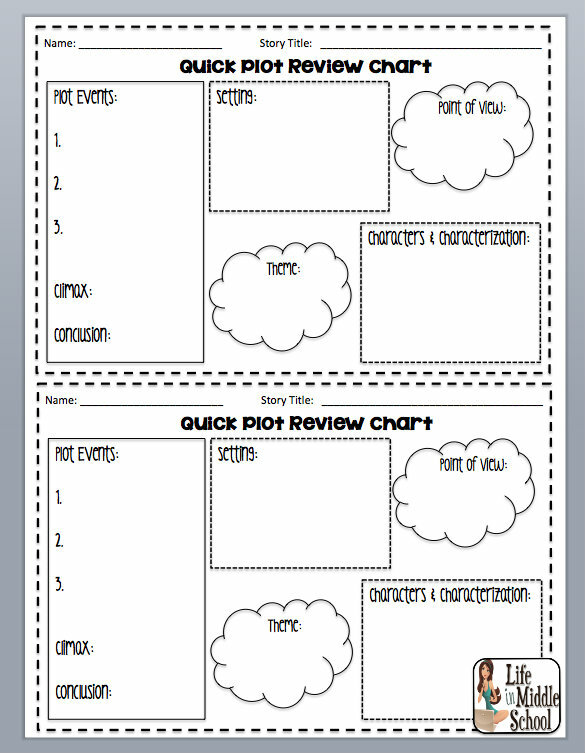 I'm going to be using this on Tuesday to help my students review the common assessment and determine their mistakes. Finally, finally, finally - my class is starting on the Hunger Games. I think they are excited and starting to enjoy the first few pages we read on Thursday. I had a few dissenters, but you can't make everyone happy. I did purchase the famous Hunger Games TPT Lesson by Tracee Orman and it's as fabulous as you would think! Yep! It's tough handling everyone, everything and to keep smiling. Does anyone else feel the same way? So, to start off my week on the right foot, I'm joining Jennifer over at Mrs. Laffin's Laughings for her Peek at my Week linky! Another week into the madness of trying to get my 7th graders close to where I think they should be. It's been a little difficult getting my morning group "with the program" so to speak because I have this weird revolving door situation with my classes. 3rd period: 27 students leave -- 13 stay and then I add another 12 (very very very low) come in. The volume level increases as the periods roll in and out. I've been kicking them out for the break and making them walk in silently. I've been making the stay room silent read too. They work, but it's all just exhausting. I feel tired just looking at this. UGH! Now, I noticed that I don't have anything for 9/11 on Wednesday. I'll have to think about if I can squeeze something in that day. I'm excited that we are going to start off the Hunger Games by reading The Lottery by Shirley Jackson on Monday and Tuesday. Such a good story and what a great tie-in to the Hunger Games! My students looked at me like I had grown a second head last week when I made them write an essay. Five paragraphs? Hook? Whaaaaaaaaaaa? I was ready to tear my hair out! (I also mentally cursed a few 6th grade teachers that only taught from the book and liked to read newspapers during class. GR!) So, I'm starting Writing Wednesday. Hopefully, it will help some of my struggling students. I haven't graded their essays this week - I'm scared people. I know that I have some other home life stuff going on, but it's nothing fascinating... Laundry (boo). Reading Logs (boo). I'm really waiting for all the good TV shows to come back on. Also, my 2nd blogging anniversary is coming up. I know that I have a few bloggers lined up for a giveaway, but email me (freelauren21@gmail.com) if you wanna participate. It's always good for getting new and exciting people to visit your blog! Don't Miss our Cyber Sale! Nov 30 & Dec 1 !!! Teacher Appreciation Week: 2 of My Favorite Sales! My Students Are Enjoying My Class!